Well, it’s November... Thanksgiving is practically here!! Are you ready? Do you have the menu planned? Did you check the guest list twice? Let’s face it — now that both Reese (6 months) and Penny (2.5 years) are a part of our lives, the holidays are an essential part of establishing traditions… and the whole plotting, planning, and implementing part is pretty intense. But inspiration never ceases, so I put together a Pinterest board to get me fired up for the holiday and (potentially) motivate me to actually get that menu together! Read below for some of the looks I’m really vibing this year. Then, take a look at the rest of my Pinterest board for more Thanksgiving Decor pics. Yep, Magnolia leaves. I love how they are naturally two toned, green on the front and brown on the back. They are rustic, sophisticated, and not too fussy. There are so many great ways these leaves are being used to create decor this season. Gold-dipped, freshly green, rescued brown and dry from the ground. Centerpieces, table runners, wreaths, and bouquets. 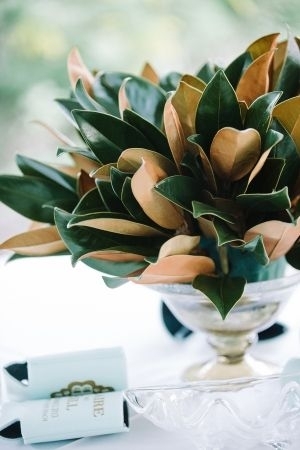 However you assemble your Magnolia leaves, they are versatile and stunning! I am constantly amazed by the way a simple strip of cloth can transform and class-up a table! The blush and blue combination is right up my alley this year, but florals and simple linens can pair perfectly with your table decor, too. PRO TIP: When selecting a table runner that will elevate your space, consider the colors/vibe of your dishware, centerpiece, and serving dishes. You’ll probably want a table runner that creates a dramatic or subtle contrast with the other items on the table. 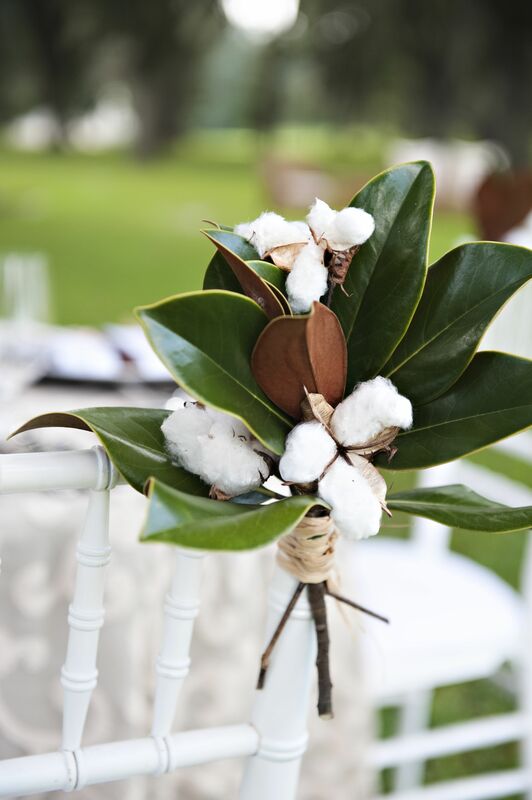 Putting a white centerpiece on a white table runner, for example, won’t let either piece shine! Wine Jugs for Thanksgiving? Wine Not?! Love wine jugs. 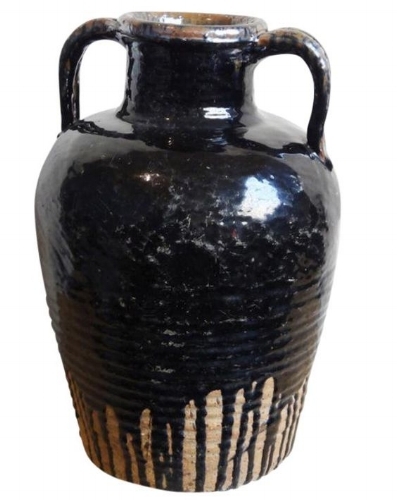 They’re simple, but they can add so much character to your space. Whether you plop one down in the dining room, the family room, or as a welcome to the kitchen, they will change the feel of your space. 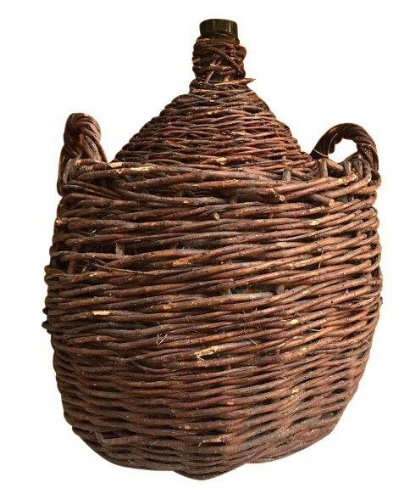 Better yet, they come in so many shapes and sizes that you can easily match them to your existing decor, be it rustic, traditional, farmhouse, or modern. Rest assured — whatever the style of your wine jug, it’ll let guests know the good times are flowing! Candlesticks are another underestimated feature of a stunning table. They add height, elegance, and ambiance when lit. I also love the sort of “ancient past” vibe of candlesticks, even ones that have a modern and metallic touch like the first image below. At Thanksgiving, when we’re keeping past traditions alive and making new ones, this antiqueness feels especially appropriate and special. PRO TIP: If you have little ones with flailing limbs around (AKA my house! ), you don’t have to forgo the candlesticks this year. Find some you love and let them be purely decorative — they’ll still make a statement. Even if your upcoming Thanksgiving doesn’t include a formal dining room, dozens of relatives, and a kids’ table, you can still enjoy the fun of place cards. This beige and gold marble design would look lovely with an elegant table, while these “rosemary-infused” place cards add a handmade, organic vibe. Lately, I’ve been really loving metallic details, especially on rustic decor. You still have the subtle farmhouse look that’s in-style but the touch of shine gives it just the right amount of real-life glam. Well, those are the top 5 big design categories I’m loving this year, but you can find plenty more (dishware, wall decor, centerpieces, etc.) on my Thanksgiving Decor Pinterest board. Since I won’t publish a post again until December, I want to take a moment to share my own gratitude this year — for you! Thanks for following along on the blog with me, listening to my decor ideas and advice, and letting me be just a little part of your month.